Our family loves books. We’re constantly reading, and now we are even venturing into the world of ebooks. Guardian Angel Publishing added to our growing collection by sending us three ebooks from their Academic Wings for Educators series to review for the TOS Homeschool Crew. The Academic Wings series for children to age 12 incorporates puzzles, activity pages, information pages, study guides and more into each book. These extras reinforce concepts or ideas presented in the books themselves, and make for a more comprehensive learning experience. The goal of this series of books is to help educators spice up their presentations of grammar, health, math, history, science, and reading. We received one story book, one information book, and one grammar book to review. I appreciate this story of a wheelchair-bound boy and his horse performing in the state fair. For years our children have helped handicapped children and adults find freedom on horseback in a local therapeutic riding program, so this book has special meaning for us. In the book Andy arrives at the Nevada State Fair in his wheelchair. His mother pushes him around as they explore the fair and then they settle in to wait for tomorrow evening’s 4H competition. Andy’s struggles with his handicap and with another unexpected challenge fill the reader with empathy and admiration. Although this book is not of the quality we usually read (think ‘classics’), the two Little Misses really enjoyed the story, and so did I. The 24 page book contains a two page supplement on wild horse management in the US as well as a one page supplement about 4-H, both containing links. Some of the illustrations were very well done but others were disappointing. Even so, the art work in this book won first place gold at the Western Art Roundup 2008. To see examples of K.C. Snider’s illustrations, please visit her website. You can purchase an ebook ($5.00), an ebook CD ($9.95+$5.95 S&H), or a print book ($10.95+$6.95 S&H). A DVD book video is coming soon ($9.95 + $5.95 S&H). This upbeat book combines clear information about earthquakes with fun and activities. I actually laughed out loud a few times! Included are lighthearted but wise suggestions for earthquake safety and a great discussion of fear and how to deal with it. There are lists of earthquakes of the past and lists of supplies to have on hand for emergencies, accompanied by lively illustrations. The factoid boxes contain fascinating bits of information that make me want to head right over to Google to learn more. I’m impressed by how Susan Berger passes on important safety information in a cheerful, matter-of-fact way without resorting to fear tactics. If you live in an earthquake zone (technically we do, but our quakes are insignificant trembles) this is a great discussion starter on earthquakes and the associated preparations and emotions. This book received an honorable mention at the 2009 Green Book Festival and I am happy to recommend it. Guardian Angel Publishing also offers valuable free advice on how to avoid being crushed in an earthquake disaster. It’s worth reading this page whether or not you buy the book. You can purchase an ebook ($5.00), an ebook CD ($9.95+$5.95 S&H), or a print book ($11.95+$6.95 S&H). Cutesy rhymes about nonsensical holidays are used to teach children about nouns and adjectives. The nouns are printed in blue and the adjectives in red, and the general effect, with the quality illustrations, is quite cheerful. I suppose children can learn about nouns and adjectives this way, but I’d much rather just get the concepts across quickly and move on to a real book for reading aloud. I did not appreciate the monster in October (though the word Halloween is not mentioned), nor did I like the food throwing in November. We were not thrilled with this book, but for families with a more zany sense of humor and an interest in making grammar fun, it may be just the thing. Although the book is supposedly for ages 5-12, my 11 year-old is way beyond it. The Study Guide at the end of the book contains eight pages of lessons and activities on nouns and adjectives, with answer keys. You can purchase an ebook ($5.00), an ebook CD ($9.95+$5.95 S&H), or a print book ($10.95+$6.95 S&H). Guardian Angel Press publishes many other books in their Academic Wings series. 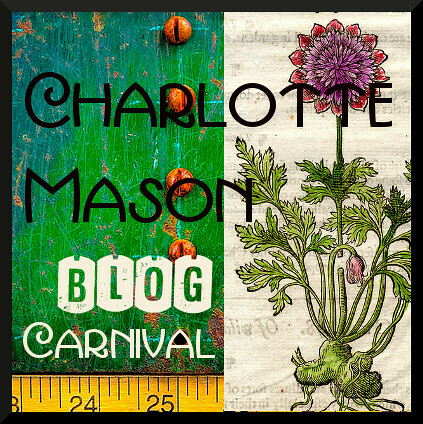 For reviews of some other books, see the Homeschool Crew blog . Disclosure Policy: As a member of the TOS Homeschool Crew, I received three ebooks from Guardian Angel Publishing to review. 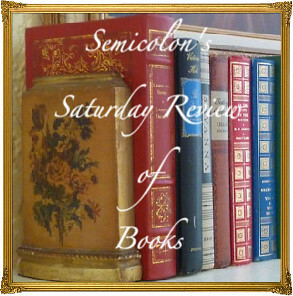 Posted in: Reviews, Reviews: Fiction, Reviews: Homeschool Crew, Reviews: Nonfiction. I hope you enjoy your special day tomorrow.